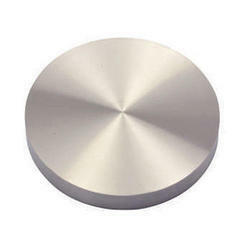 We are dealing in Stainless steel mirror cap. We are offering an excellent quality range of Job Work Services. Clients can avail these services from us at market leading prices. In order to serve our clients in the best possible manner, we provide these services in the well defined time frame. 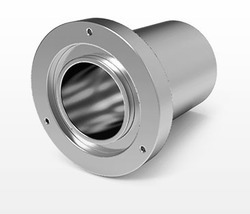 The job work is done with our client's requirements, and 100% efficiency is produced. We are engaged in the activity of Industrial Job Work Services for different kinds of steel & other bars. We offers these services to our most reliable customers which are situated all round the nation. We offer these Services at most reasonable as well as at competitive prices. As a client oriented organization, we are engaged in offering superior quality Electronic Job Work Services. These jobs are executed by skilled professionals efficiently after coordinating with our customers. We use only modern techniques for executing the electronic jobs keeping in mind the all industrial norms. Being a distinguished business name, we are enthusiastically involved in the arena of providing RLR3 ABC3 Meter Job Work. We are assisted with a crew of adroit personnel who render these services in the most effective way within the postulated time. As well, these services are broadly appreciated amid our patrons’ for their promptness. WE BELIEVE THAT IN TODAY’S COMPETITIVE WORLD, SUCCESS IS POSSIBLE ONLY WITH THE AMALGAMATION OF GREAT MINDS, GREAT IDEAS AND GREAT ORGANIZATIONS. As we said “THE MORE, THE MERRIER. Following the same, Strawberry Lifestyle also provides as well as undertakes job work from boutiques and provides the same to artisan. Dhiraj Alloy & Stainless Steel Pvt. Ltd.
Owing to our years of industry knowledge, we are providing Engraving Job Work Services. The offered services are performed by industry experts who use contemporary technology. We offer these services in varied patterns that meet on customers demand. Moreover, we offer these services at pocket friendly rate.